ALRP 31st Annual Reception a Great Success. Over 300 guests helped ALRP raise over $170k to support our programs. ALRP displays its heart(s) in the Walgreen’s Community Window at 18th & Castro until October 18! ALRP is expanding our crucial immigration work with the addition of UC Davis Law Partnership Fellow Nienke Schouten. Eli was a long-time volunteer with ALRP who, among many other things, generously assisted in the drafting of ALRP’s Personnel Policies. ALRP Panel attorney Laura Maechtlen has been named to the Daily Journal’s 2014 Annual List of Top 75 Labor & Employment Attorneys in California and the 2014 Annual List of Top 100 Women Lawyers in California. Laura served on the ALRP Board of Directors from 2006 through 2010 and was honored with the ALRP 2013 James C. Hormel Philanthropist Award. She was instrumental in securing the participation of Seyfarth Shaw LLP in ALRP’s Pro Bono Connections Initiative to connect people battling HIV/AIDS with the legal resources of large Bay Area law firms. 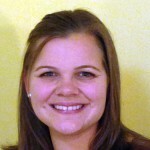 Laura currently serves on the ALRP Panel and is an ALRP Leadership Donor. Laura leads Seyfarth’s practice in client service, innovation and results, and serves as Co-Chair of Seyfarth’s Firm’s Diversity Action Team Executive Committee. She is a member of the Board of Directors of the California Minority Counsel Program (CMCP), and the past President of the National LGBT Bar Board of Directors. Please join all of us here at ALRP in congratulating Laura for her recent accolades, and for her continuing work on behalf of minorities, people with disabilities, and other marginalized populations. ALRP is featured in a Queerty article about social justice LGBT organizations. ALRP’s Ana Montano attended the inauguration of the International Law Enforcement Academy of El Salvador’s First Hate Crime Training Course in San Salvador.